​The museum includes a very popular children's area hosted by our children's mascot "Scallywag". ​This area is called Scallywag's Haad. A haad is the Shetland dialect name for an otters holt. 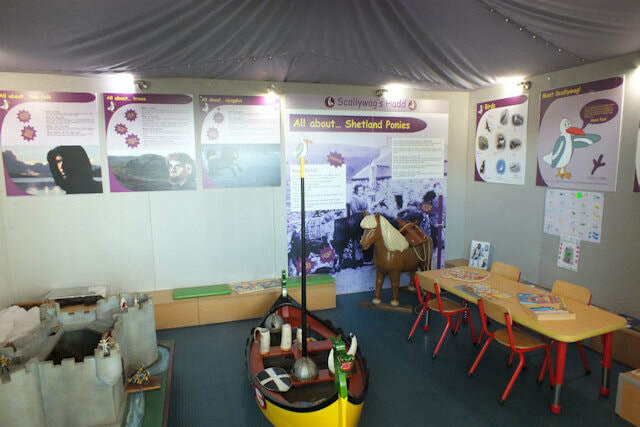 ​The area houses a variety of displays specifically aimed at children but is also designed to be highly interactive with many heritage-related activities for children of all ages. ​As well as a range of books and toys, there are dressing up clothes, a child size Viking longship, a model castle and of course Rotsie the pony.